Nail Pop decals are water slide decals, which means that you cut out the image you want to use, soak it in water, and slide the decal off of the backing paper. You can then situate it on your nail where you want it, and seal it in with topcoat. 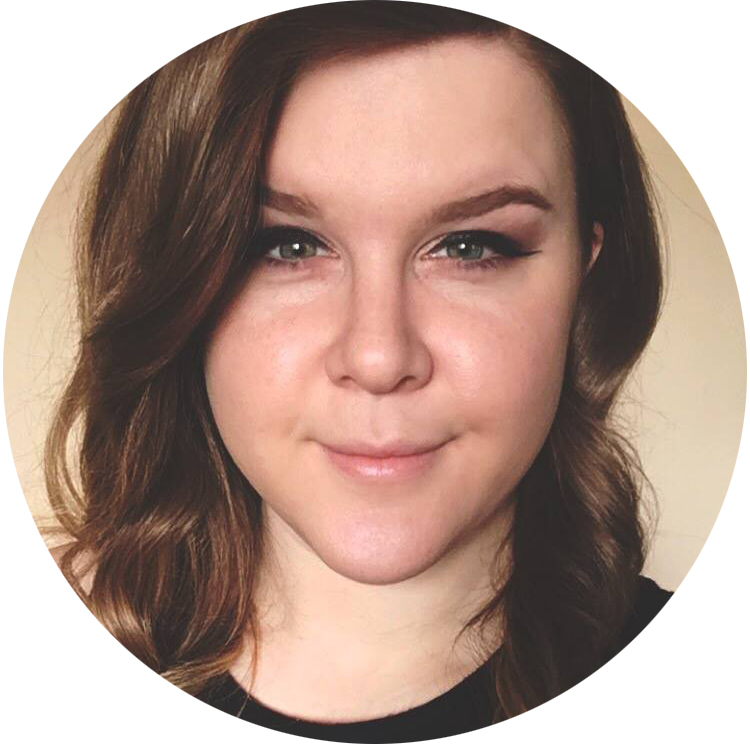 I found them pretty easy to use, though I do have a couple of tips! Cut around the decal as closely as possible. This eliminates any extra material from around the image and will make it much easier to work with when you go to place it on the nail. Choose a light color as your base to help the decals show up better. Use a paper towel or makeup wedge to soak up any extra water on your nail before you topcoat. Work over a dry or mostly dry manicure. I pressed down pretty firmly on my decals, so you don't want to dent the goods. As the water dries out of the decals, they will start to look slightly translucent. Don't worry! The topcoat will soak in and make them clear again. Though these aren't my usual style/aesthetic, I do have to admit that they're pretty cute! 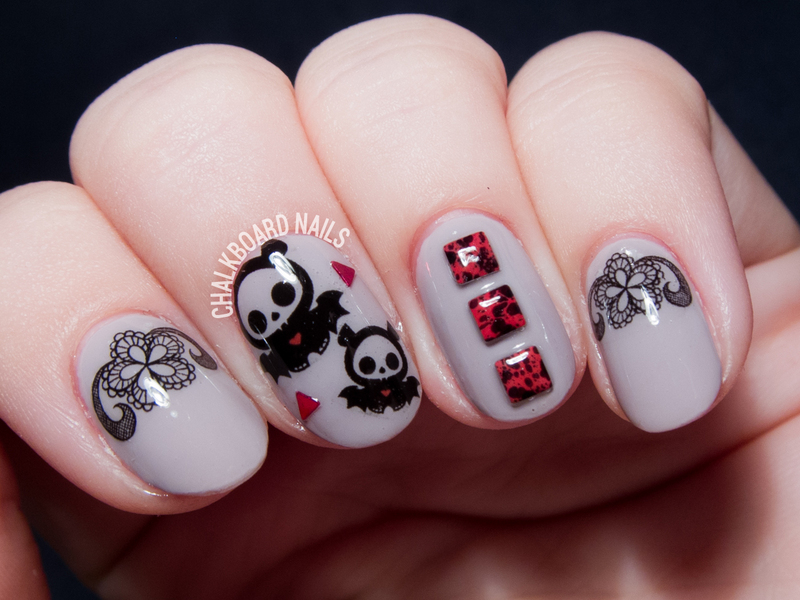 I like all of the small pieces too, which could be used to add just a touch of flair to your manicure. 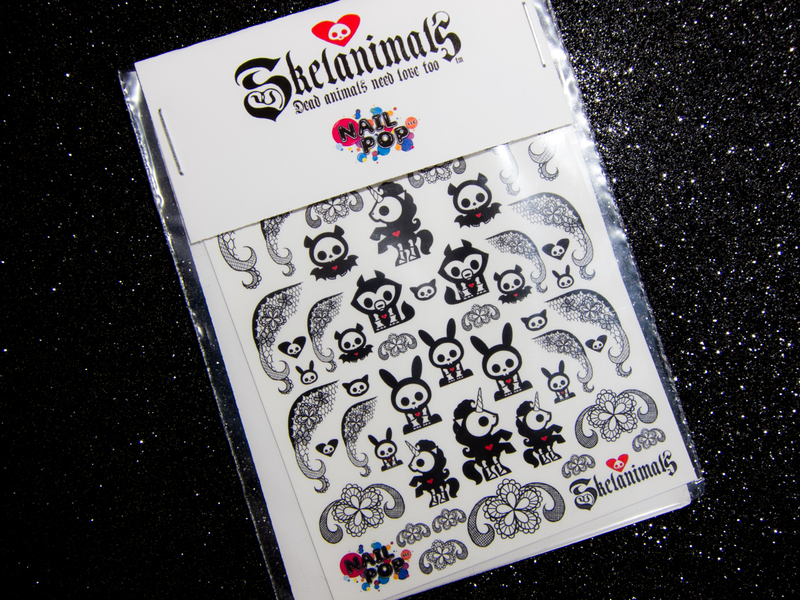 Skelanimals decals are available from Nail Pop or Dolls Kill. Disclosure: This post contains a press sample. This is so cute! I really like the pattern on index and little fingers! 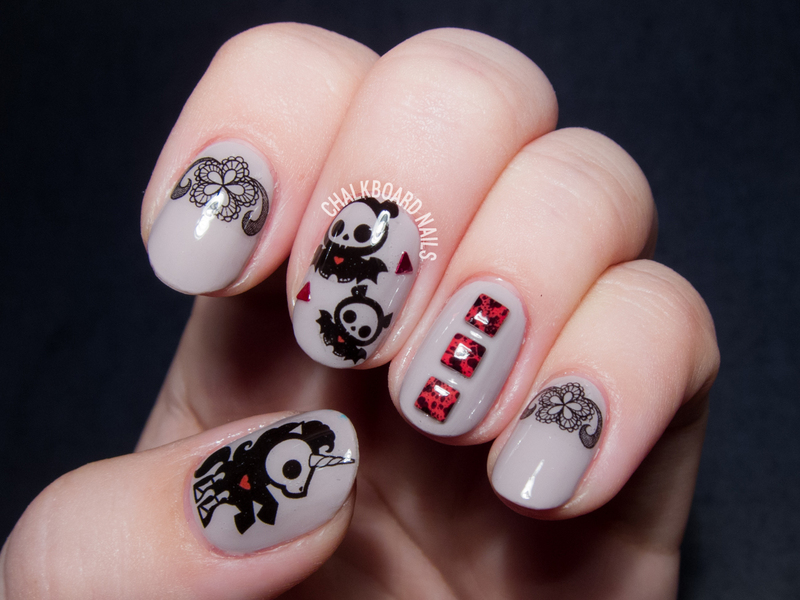 This is so cute, edgy but adorable! Hah, so cute, and I love the muddy base - pretty! She also has cat skulls. I really wish the Aussie dollar was doing better. There is no way I can justify buying these at the moment. They are so more expensive than I would usually spend. So adorable. And thank you for that important tips. These are so cute! I have a Skelanimals stuffed animal cat that I got in High School and named it Mortimer :-P I love how you wore these too!